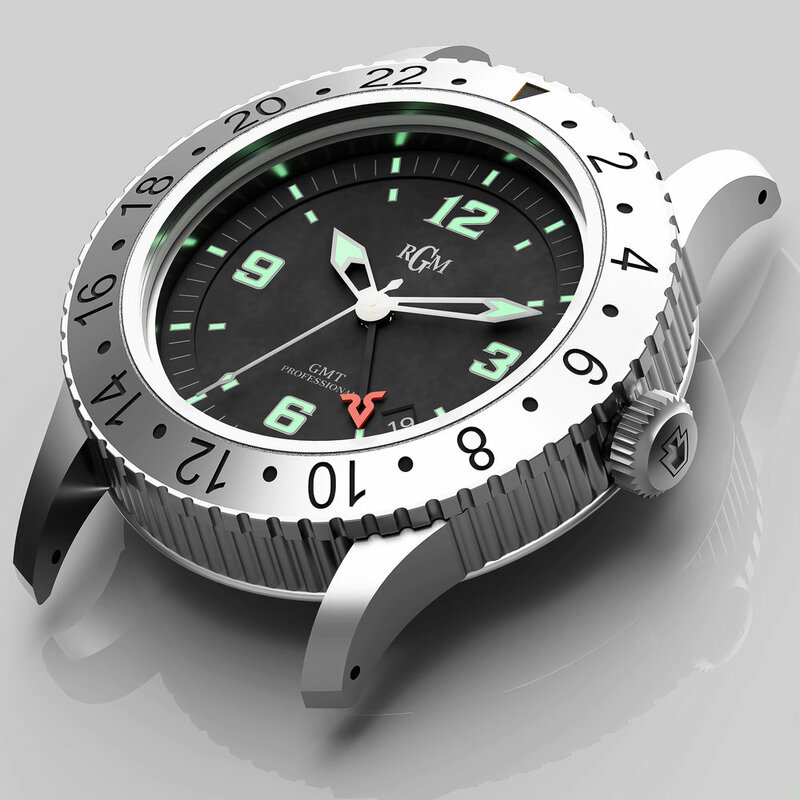 Limited Edition RGM Model 500-GMT-RS "Richard Sachs" Version.. Pre-Orders Available — RGM Watch Co. Both Richard Sachs and Roland Murphy have a passion for handcrafting and making very special products for their clients, often creating bespoke pieces of art. They can be described as traditionalists who believe in providing customer service and building the right product for each individual. Years ago we made an RGM/Richard Sachs watch, and we have had many requests for a new model, so we’ve teamed up to create a truly special GMT watch. 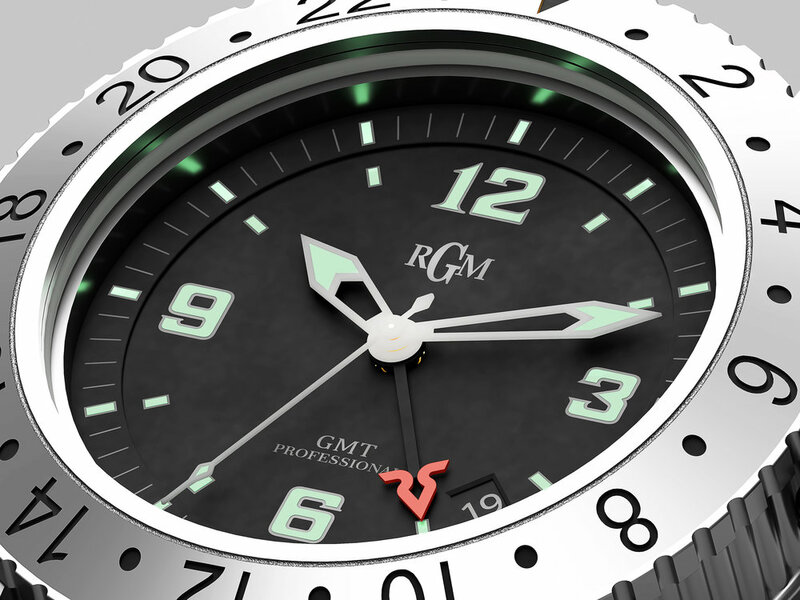 Renderings are of the new RGM Model 500-GMT-RS which will be ready around Oct/Nov of this year 2019. Limited Edition of 50 Watches. Anyone who pre-orders the watch now will get some extra goodies at no extra charge as outlined below. 3-year warranty in place of standard 2-year warranty. Signed Richard Sachs cycling cap. Personalized engraving added to the case-back. To order the watch, a 50% deposit is required, and the balance is due when the watch is ready later this year. The price of the watch is $4750 on strap. An optional stainless-steel bracelet will be available later. 41mm 316-L stainless-steel case with unidirectional 24-hour bezel. Richard Sachs GMT hand, and engraving on case-back. Automatic ETA 2893-2 GMT movement. Superluminova on dial and hands.